Each weekend we take a look at the many wonderful flavors, characteristics and personalities that make coffee the craft beverage that we love. For this issue of SUNDAY Coffee, we will be taking a look at the history of the French Press coffee brewer. The French press coffee brewer is designed to make great tasting coffee quickly and easily. In relation to other coffee brewers, the design is one of the most versatile. From elaborate models to simplistic portable mugs, the French press literally is the “every man’s” coffee pot. Whether your French press is artistic or utilitarian, it will follow common design and brewing principles: boil water, pour over your beans, wait, press and enjoy! The circular beaker, usually of glass or plastic, will have a lid and a tight fitting plunger. Under the plunger will be a screen, used in pushing the coffee grounds to the bottom of the press when brewing is completed. Grind your coffee beans to a medium or coarse grind. Finer grounds tend to pass through the press filter and into your brew. Place the ground coffee into the empty press beaker. Usually 2 tbs per 8 oz. of water. Slowly add hot water (195-205° F) to your press, stirring the coffee grounds. Place the lid on the press, making sure the screen is pulled up against the bottom of the lid. After 3 – 5 minutes, carefully press the plunger down. The screen will push the coffee grinds to the base of your press. Your coffee is ready to pour and drink. What you do not use may continue to brew, so consider pouring the remaining unused coffee into another container. The French press is a great way to brew coffee for lots of flavor. The steeping process (water and coffee stay in contact during brewing), requires little monitoring. Since the oils from the coffee are not trapped in a paper filter, they form a tasty rich, thick brew that floats to the top of the press. To learn more about how to use a French press, here is a great tutorial from JJBean Coffee Roasters. Who Invented The French Press? I was surprised to find there is a bit of mystery and controversy over the exact origin of the French Press. Its invention is claimed by both the French and the Italians. The first devices using the principles of the French Press can be found in the mid 1800’s. French cafetieres used metal coffee pots that would force coffee grounds to the base of the pot using a screen attached to a rod. 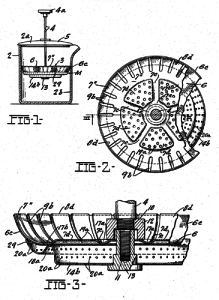 The coffee press was just one of eight patents Calimani secured. Other beverage related patents had to do with coffee pot improvements and a device you could add to a milk can to keep the contents from running over while being boiled. The next advancement for the French Press coffee brewer came in 1958 with a patent by Faleiro Bondanini. Bondanini manufactured his coffee maker, and used the Danish kitchenware company Bodum, to distribute the popular coffee pot across Europe. 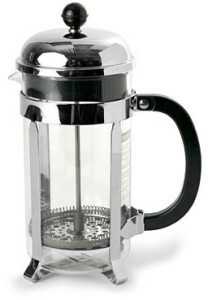 Since then, the designs for the French press have varied in their modifications and sophistication. However, the basic principle has not altered. Sometimes the French press will be called a coffee plunger or a coffee press. The Italians refer to the press as a caffettiera a stantuffo while in the Netherlands you will refer to the press as a cafeteire. Whatever name you want to give your French press coffee brewer, its a wonderful way to start your morning. There’s just so much that a French press provides above and beyond your typical electric coffee maker. The quality of the taste, the easy cleanup, and the simplicity of the process is unbeatable. I suppose that’s why 2.5 million French press pots are sold in the United States every year. 100% Cuban Coffee: Is It Coming To A U.S. Store Near You?